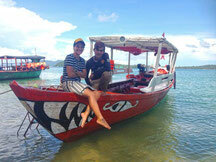 As your personal guide during your vacation in Cambodia, I would be happy to show you the Cambodian culture and beauty. Whether a day tour in Sihanoukville or a multi-day tour of Cambodia, I will make sure that you have your perfect vacation and will organize everything for you on site. You determine the travel program and make all the decisions. Whether it should be customized or you already have set plans, I will help in any way that I can. I am also happy to suggest tours. 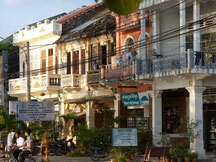 Do you wish to experience Cambodia beyond the tourist boundaries or be introduced to locals? Take advantage of my local knowledge and language skills. You can choose the start and end destination. I will be happy to pick you up from Phnom Penh, Sieam Reap, or any other place and bring you to your destination. 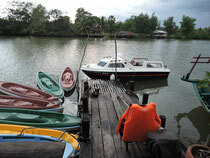 This is also ideal for those taking a cruise to visit the Sihanoukville port. I will gladly pick you up from the port and bring you back on time. 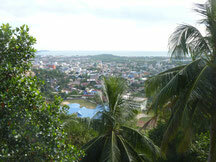 Sihanoukville has much more to offer than beautiful beaches. 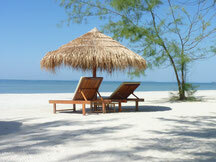 If you wish, I will show you around Sihanoukville off the standard tracks. 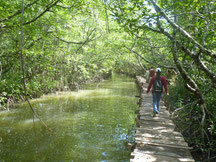 With a personal guide, your stay in Cambodia will definitely be an unforgettable experience.